Black Square Pot 0.7 Litre 10cm Square pots are useful for propagation flood and drain drip feed systems or for your own home made system. Use with VitaLink Clay Pebbles, CANNA Coco or a mixture of the two. 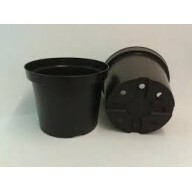 Size; 0.7L L: 100mm W: 100mm D: 110mm ..
Black Square Pot 1.5 Litre 13cm Square pots are useful for propagation flood and drain drip feed systems or for your own home made system. Use with VitaLink Clay Pebbles, CANNA Coco or a mixture of the two. 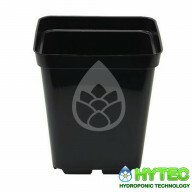 Size; 1.5L L: 130mm W: 130mm D: 130mm ..
Black Square Pot 1.5 Litre 13cm Square pots are useful for propagation flood and drain drip feed systems or for your own home made system. Use with VitaLink Clay Pebbles, CANNA Coco or a mixture of the two. 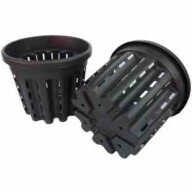 Size; 3.0L L: 200mm W: 150mm D: 150mm ..
ROOT-PRUNE POT 2L High quality root pruning pots Unique design prevents root circling Air prunes roots as they reach the wall of the pot causing plants to put out secondary roots. Results include much larger root mass, faster growing roots, increased nutrient uptake and bigger .. These Square Plant Saucers, or Drip Dishes, as they are often called, are made from a tough and durable , chocolate coloured plastic. 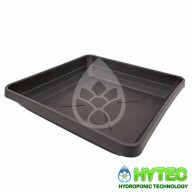 They are designed to fit square plant pots and there use provides a host of benefits, to both the plants and grower. 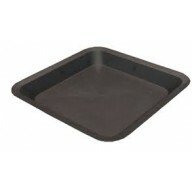 they can take plant pots up to..
Square Plant Pot Saucers Trays 330mm-330mm-30mm These Square Plant Saucers, or Drip Dishes, as they are often called, are made from a tough and durable , chocolate coloured plastic. 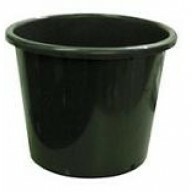 They are designed to fit square plant pots and there use provides a ho..
PLANT!T ROUND DIRTPOT The PLANT!T Dirt Pot offer value and versatility to all gardening enthusiasts. 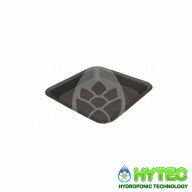 Made from porous breathable fabric, PLANT!T Dirt Pots allow your plants to thrive, promote exceptional root health and vigorous plant growth. 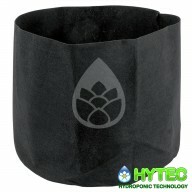 The soft-sided construction allows the planter to conf..
SQUARE SAUCER 33CM² - BLACK 33cm x 33cm x 6cm Square Saucer Black. Fits 18L Premium Square Pot and 17L Square Base Dirt Pot. 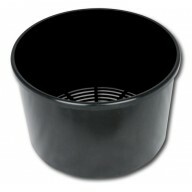 ..
Saucer 30cm Heavy duty, reusable black pots suitable for a variety of pot sizes. Featuring a deep ridged base, these pots aid water drainage but also help retain water and soil spillages keeping the growing area clean. Available in sizes 30cm, 35cm, 40cm, 45cm Dimentions ..
SQUARE SAUCER 42CM² - BLACK 42cm x 42cm x 7.5cm Square Saucer Black. 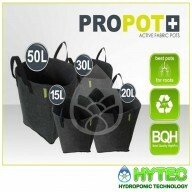 Fits 26L Square Base Dirt Pot and 37L Square Base Dirt Pot ..
PROPOT ACTIVE FABRIC POTS Very strong and reusable Square based to optimise the growing space Ideal for indoor and outdoor growing The roots can breathe properly ..
ROOT-PRUNE POT 7.5L High quality root pruning pots Unique design prevents root circling Air prunes roots as they reach the wall of the pot causing plants to put out secondary roots. Results include much larger root mass, faster growing roots, increased nutrient uptake and bigge..
ROOT-PRUNE POT 9.5L High quality root pruning pots Unique design prevents root circling Air prunes roots as they reach the wall of the pot causing plants to put out secondary roots. 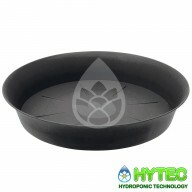 Results include much larger root mass, faster growing roots, increased nutrient uptake and bigge..
Saucer 40cm Heavy duty, reusable black pots suitable for a variety of pot sizes. Featuring a deep ridged base, these pots aid water drainage but also help retain water and soil spillages keeping the growing area clean. 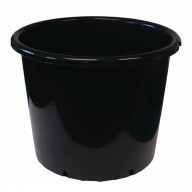 Available in sizes 30cm, 35cm, 40cm, 45cm Dimentions ..
Saucer 45cm Heavy duty, reusable black pots suitable for a variety of pot sizes. 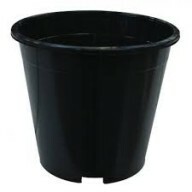 Featuring a deep ridged base, these pots aid water drainage but also help retain water and soil spillages keeping the growing area clean. Available in sizes 30cm, 35cm, 40cm, 45cm Dimentions ..